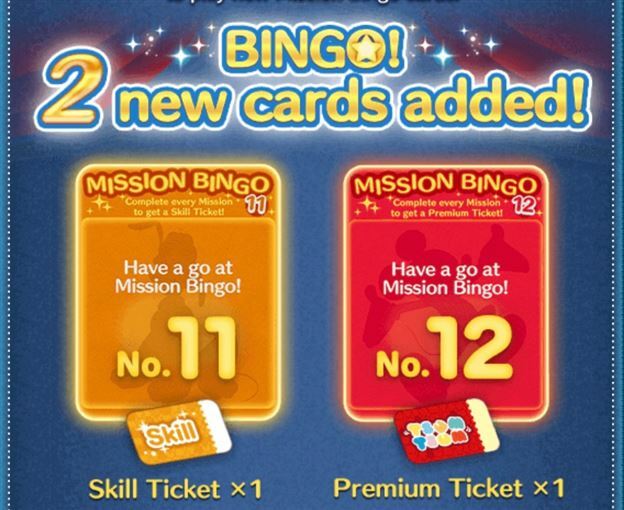 Today the International version of the Tsum Tsum Mobile Game was updated to add Bingo Cards 11 and 12! PS we know we are very behind in updating the site; however, we have been insanely busy and haven't had the time we have wanted to spend on the site. We haven't forgotten about it or given up on it. We hope to have the site completely up to date again in the next couple months. Sorry for the delay and thank you for your patience!